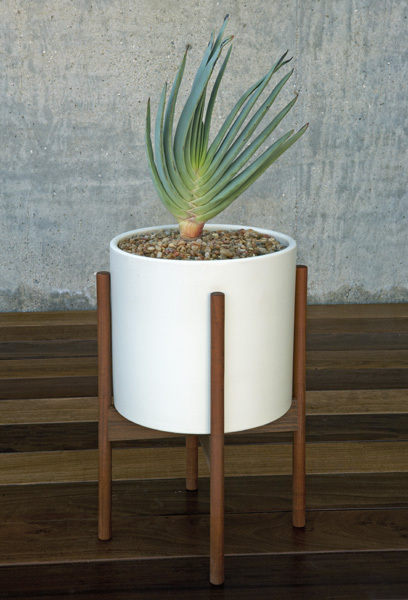 Thanks to the wonders of the internet, I stumbled across the Case Study Cylinder Plant Pot With Stand. They come in either white or charcoal and if you look around their site, they also have the stand portion available in metal instead of the wood. They are fantastic! And I want one! Or more like three... I think that I need to get my living room finished to see if something like this will fit in. I have a feeling it will and I will be rocking at least one of these in the future. I really like the use of wood and ceramic. 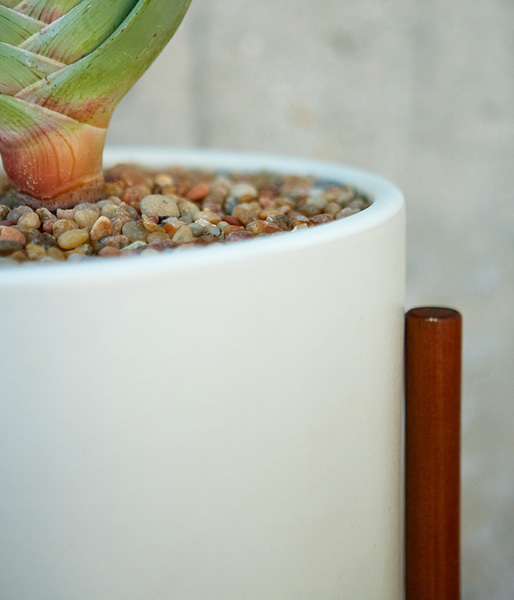 It goes along well with the lamp I have that is walnut and ceramic, as well as the ceramic pots that are home to my succulent plants.